I had this at the house of cookbook writer Trish Deseine. Normally melon is paired with parma ham but as you know, I don’t eat meat, so good quality smoked salmon was wrapped around each slice. Drizzle with basil or dill chopped finely into olive oil. Fast, refreshing, effective. After all, today is the hottest day of the year and the last thing you want to be doing is cooking. 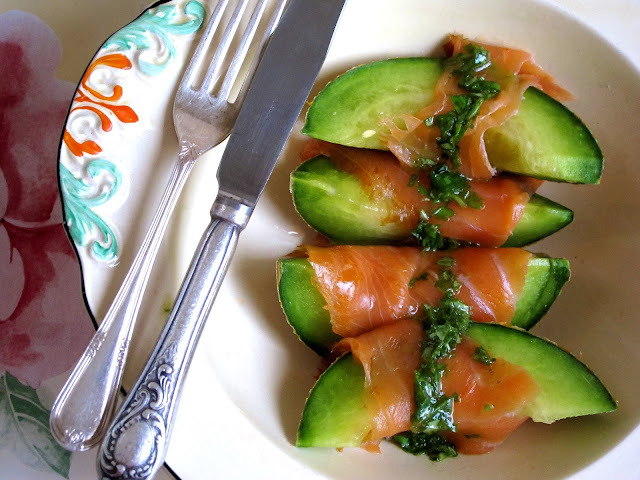 Cut up the melon, drape a piece of smoked salmon around each piece. Top with the herb oil. Absolutely lovely looking dish, Kerstin. 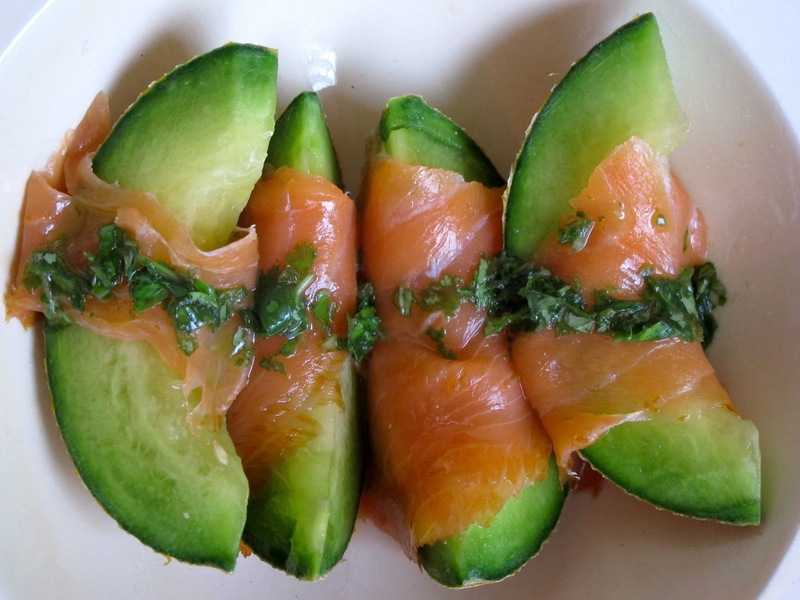 Such a great idea to combine salmon, melon and basil. All the colours of summer even when there isn't any…Also I love the luminous green of your melon (Matron). Wow, wonderful combination of flavours – thanks so much!